Apart from the graphics, what else about Star Fox 64 did you change? The biggest change is that there are now two modes. One is the Nintendo 64 mode which allows fans to play the game just as it was on Star Fox 64, but it does have improved graphics and allow players to experience 3D. 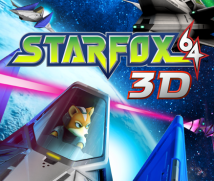 In other words, you used the cutting-edge technology of the Nintendo 3DS system to recreate Star Fox 64 from 14 years ago as an even more high-density game. Yes, that’s right. And as mentioned earlier, some people may find Star Fox 64 to be difficult. Since the game is for a handheld this time, I wanted to make it easier to play, so we created the Nintendo 3DS mode. First, we prepared something that was simply easier. But then something happened… Dylan-san, that was about one month before completion, wasn’t it? Yes, but he had mentioned it when we began making it. Yes. (laughs) Then about one month before the game was done, Miyamoto-san pointed it out. 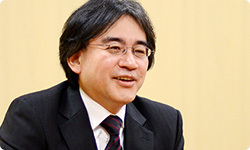 He said that you could play Star Fox 64 on the Wii console’s Virtual Console19, and since we were bringing it out specifically for the Nintendo 3DS system, it needed new appeal. 19. Virtual Console: A service that allows players to use their Wii consoles or Nintendo 3DS systems to enjoy recreations of games released for past consoles such as the Famicom, Game Boy and Nintendo 64 systems. Games can be bought and downloaded from the Wii Shop Channel or Nintendo eShop. And that was the gyro sensor. Right. So I quickly summoned two programmers and Dylan-san from Q-Games to a room at EAD and over the course of two days we focused on adapting the game. Yes. But I’m glad we did that. It shaped up nicely for the gyro sensor. You made that much progress in just two days? You sure do work fast! They were an immense help. 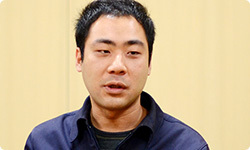 Q-Games has lots of foreign staff, but they all love Star Fox and very much wanted to make it a good game, so they helped with a lot of scenes. What did you think about that at first, Amano-san? 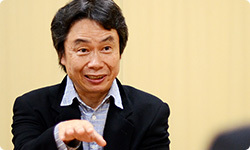 When I started making it, I talked it over thoroughly with Miyamoto-san. There are some basic dilemmas involved in controls for a 3D shooting game. On the Nintendo 64 system, for example, if you pushed the analog stick up, the Arwing descended. But some people feel that if you push the stick up, the Arwing should ascend. That’s right. That’s something Miyamoto-san has wrestled with for years. Yes. When I play Star Fox 64, I feel like the Nintendo 64 controller’s analog stick is like a pilot’s, so if you push it up, the Arwing should go down. But not everyone finds that so natural. No. Some people think it only makes sense that if you push it up, the Arwing goes up. The world is divided into these two camps. You couldn’t unite the whole world. Exactly. It’s a thorny issue. I wanted to bring out that feeling of piloting, but it didn’t feel right to me that the plane descends. But on the Nintendo 3DS system, you can use the Circle Pad. Which was also a problem. Even some of the people who knew that pushing the stick up on the Nintendo 64 system caused the Arwing to descend would think that now that you have the Circle Pad with Nintendo 3DS, moving it up will cause the Arwing to rise. It became even more complicated. Right. People think about it in different ways, so we realised it was a confusing area. I wonder why such individual differences arise? I think it depends upon where on the screen you are looking—whether you are looking at the cursor or the aircraft. Oh, I see! People who watch the cursor want the Arwing to rise when they push the Circle Pad up and people who are watching the Arwing think it will descend. Yes. I always watch the aircraft. But everyone is different that way, so we decided to make it so players can change the settings, choosing whichever method of operation they like best. Which brings us to the gyro sensor. If you tilt the Nintendo 3DS system up, the Arwing goes up, and if you tip it down, Arwing goes down. It’s universal. So everyone can instinctively operate the game in the same way whether they are looking at the cursor or their aircraft. It feels absolutely great to play. Why do you think it feels so good? Because it moves directly in line with your intuition? Like in Super Mario Bros., there are times when you’re concentrating on the game and you jerk the controller in the direction you want to jump. Well, the Nintendo 3DS system actually responds to your movement. That is part of the game’s control system . Right. I think that’s why it feels so good. Especially when you slip through a low arch.